Sister Bay is tentatively a “war zone” as Jane Kayser from Domicile put it. But every Friday, work crews lay down asphalt over the massive holes they have blasted in the highway and open the road as if the only work they did was patching a few potholes. The village stops construction on the highway downtown and that has been instrumental in keeping businesses above water. Sales at Drink Coffee are down slightly, but Anderson is optimistic that the end product will be well worth the current slowdown of business. 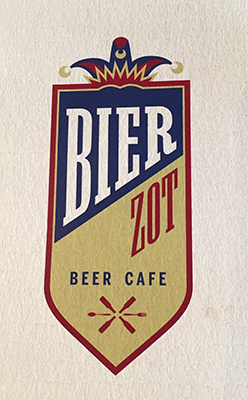 Sara and Britt Unkefer, owners of Bier Zot, reduced their lunch service hours while construction took place immediately in front of their restaurant on Hwy. 42 after seeing a reduction in daytime business. But they have found weekend business unchanged and are confident that Sister Bay will see great gains after putting up with some dust this year. “A better waterfront, bigger sidewalks, being able to drive down the hill and not see any power lines… It’s going to be awesome,” said Britt Unkefer in an interview earlier this year. Unfortunately, Kayser does not think she will see much gain from the construction at her location up the hill on Hwy. 57. “All of the improvement downtown and at the beach and everything isn’t going to help my business at the top of the hill but I can understand why they’re doing it and I think what they are doing is lovely,” said Kayser. The road in front of Domicile was closed through the two busiest months, July and August. Kayser’s sales struggled in August, but now she is seeing a slight bounce back given the new detour that takes all cars past her store. With construction on the Hwy. 42 hill into Sister Bay, a detour routes cars along Country Walk Drive past the Country Walk Shops. John Seiberlich’s Top Shelf Gourmet is one of the first businesses northbound drivers pass on their detour. “It’s given us more visibility… and I think we’ve seen more foot traffic,” said Seiberlich. But despite this increase in foot traffic, Seiberlich has not seen a matched increase in sales. Despite the rubble along the highway, most business owners praised the construction crew, Vinton Construction from Manitowoc, for their efficiency and cooperation with surrounding businesses. Anderson remembers the construction in Sister Bay a few years ago with disdain, but has found this project to be a far cry from that struggle. Construction will take place on the Hwy. 42 hill into Sister Bay and sections of Hwy. 42 between Maple Drive and Scandia Road until the winter shutdown after Fall Fest. Beginning Oct. 19, northbound traffic will be open on Hwy. 42 while southbound traffic will be detoured around construction. 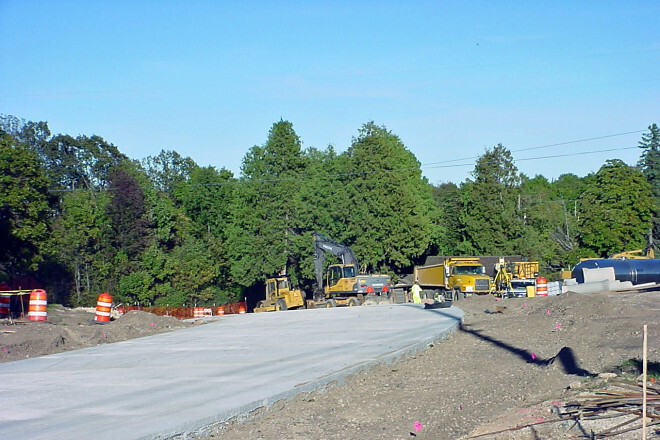 For more information and up-to-date closures and detours, visit projects.511wi.gov.